Travel Write Draw: "Drawn to Bermuda" with Conde Nast Traveler LIVE NOW!! 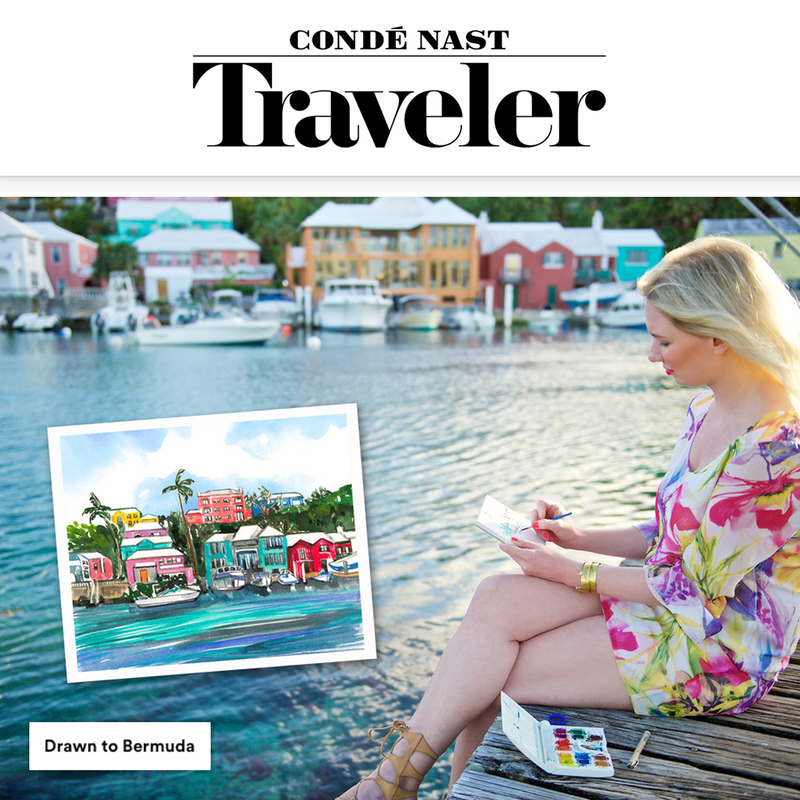 "Drawn to Bermuda" with Conde Nast Traveler LIVE NOW!! Remember when I took a little excursion to Bermuda back in December?! Well I'm SO thrilled to share that my illustrated adventure to the island with Conde Nast Traveler and Bermuda Tourism is online now at cntraveler.com/drawntobermuda!! I don't want to show too much here because I would rather you see the full story over on CNT. Still more to come in the March 2015 issue!! Oh wow! Love it! Big congratulation Meagan! I see you had so much fun in Bermuda! That photo of you on a motorcycle- priceless! :D Beautiful experience and I love all the colors! Happy for your success! packed odyssey of a period.